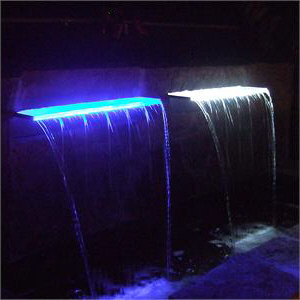 Add dramatic lighting to your pond falls or weirs with this LED light strip available in blue or white light. Can be used with all stainless steel weirs and skuppers as well as acrylic weirs or even under traditional falls and spillways. Includes LED light strip, transformer with quick connect and 15' cord.